Soup . . . the great harbinger of fall. It never fails — crisp air and crunchy leaves always trigger my urge to hibernate and make soup. I love to make soup — I find it relaxing. There’s just something about tossing your pantry into a pot and calling it dinner! Me and soup go way back. I won this bowl in 6th grade for collecting the most Campbell’s Soup labels. I can’t remember why we were collecting Campbell’s Soup labels — we were probably trying to earn enough points for a new ditto machine (mmmm, ditto smell). 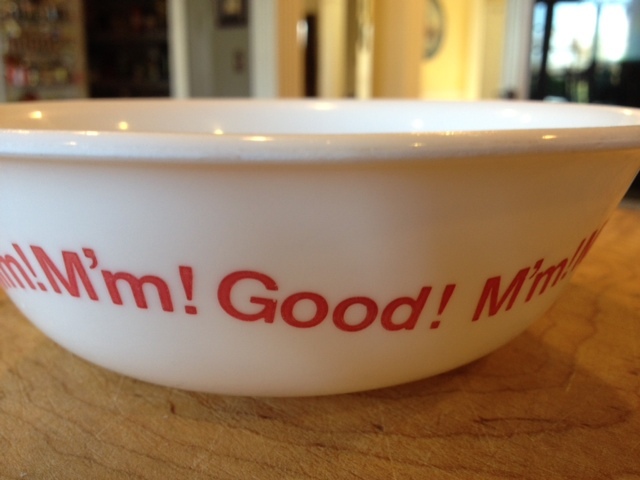 I’m not sure why I’ve kept this bowl for all these years, but now it’s become my kids favorite — they fight over who gets the M’m M’m Good bowl. 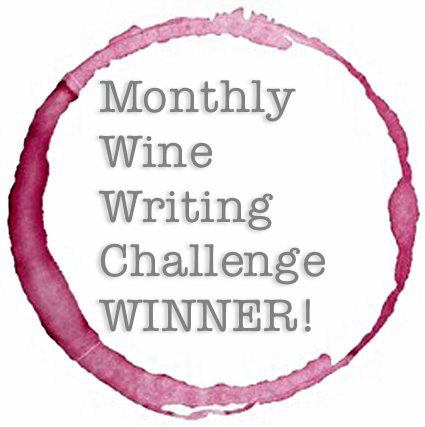 The theme for this month’s Carpe Vinum was Soup! Everyone chose a soup recipe to try and a wine pairing to go along with it. So, without further delay, here is our Homage to Soup . . .
Disclosure: I’m not a huge fan of smoky foods (they taste like a campfire to me). And I had no idea smoked paprika even existed, let alone that it was so, um, smoky. Eponymous food, duh. The texture contrast between the springy, al dente shrimp and the crispy bacon is excellent. And the crushed red pepper gives the soup a nice heat, providing a nice balance to the sweet corn. Paired with Kremser Wachtberg Grüner Veltliner Kremstal DAC Reserve. Tasting Notes: I ❤ Grüner Veltliner! Pale colored and super-crisp, with flavors of peach and melon with white pepper on the back end. Almost a perfume quality to it as it warmed up. Very enjoyable. $23. Pairing Notes: The slight sweetness helps tame the smoky spice of the soup. Naturally high in acid, the Gruüner holds up well against the creaminess of the soup. I tried the chowder with the Cana Rkatsiteli (below), but the high alcohol levels in that wine blew the heat levels in the chowder off the charts. Would it be gauche to lick my bowl? This broth for this soup has such an amazing flavor, you could leave out the lobster and it would still be delicious. I said you could leave out the lobster . . . but you wouldn’t. 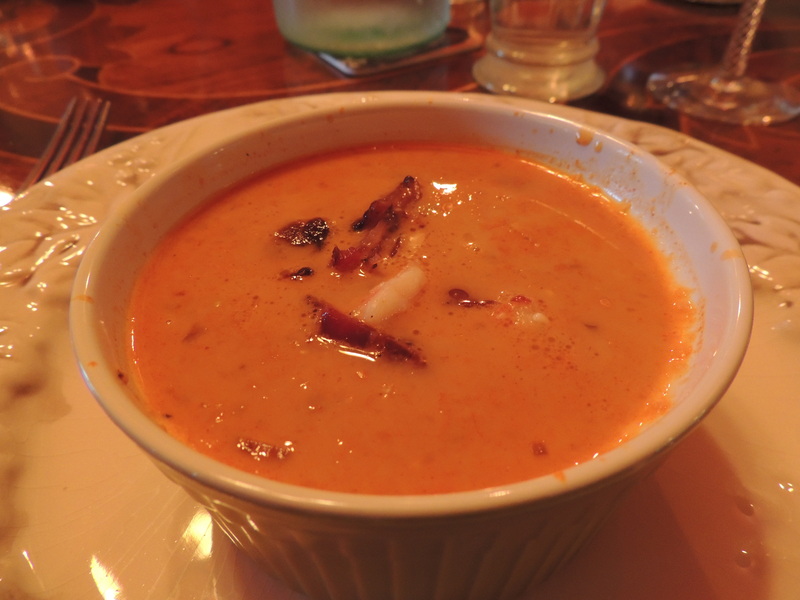 And now that I know you can buy frozen lobster tails (I finally lifted up that rock I’ve been living under), I will be making lobster bisque more often! 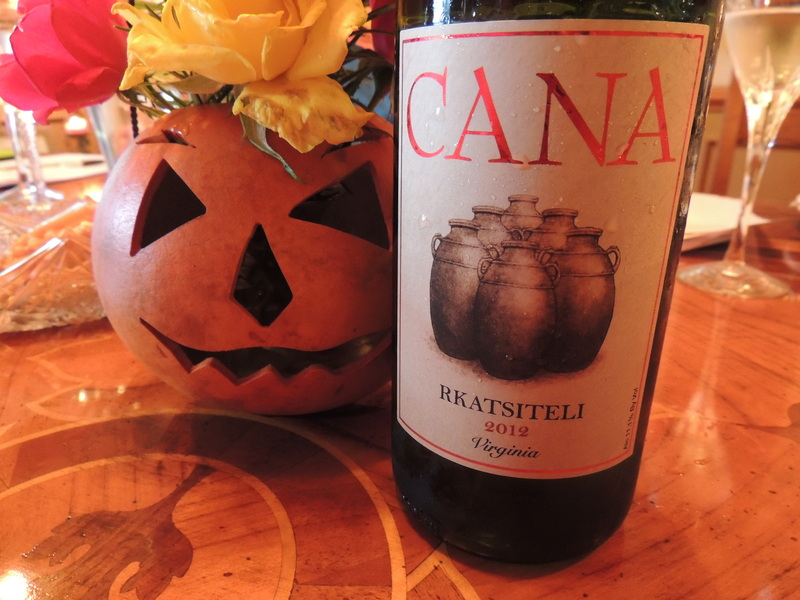 Paired with Cana Vineyards & Winery Rkatsiteli 2012. Tasting Notes: Rkatsiteli is an ancient grape hailing from the Republic of Georgia. 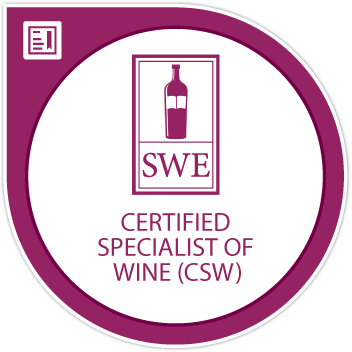 Pale, with stone fruit and spice notes, especially nutmeg. Dry with higher acid and alcohol. This sounds weird, but there’s an asphalt note in there, too. Thumbs-up! $24. Pairing Notes: The bisque seems to exaggerate the acid in the wine. It’s not unpleasant, but it definitely starts to pull focus. Lobster and Chardonnay are welded together in my mind — I would like to revisit this bisque with an elegant White Burgundy. Dang, I guess that means I have to make Lobster Bisque again. 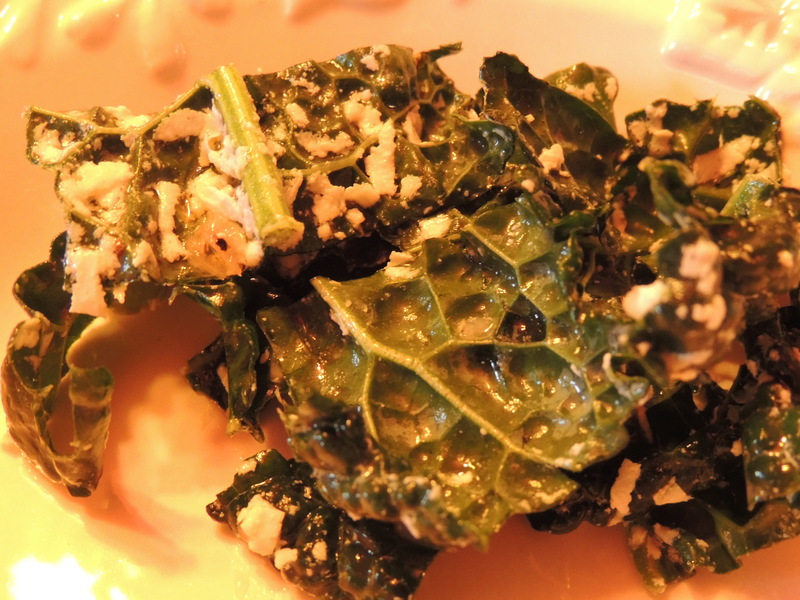 Intermission: a Kale Salad break! My husband would voluntarily starve to death before he ate anything with Kale in it, let alone an entire kale salad. But I thought it was delicious. Lemony, briny and herbal. Yum! Patrick O’Connell is a Food Deity. If you’re making a Patrick O’Connell recipe, you don’t even need to test it — it just works. And this soup is no exception. One of my girlfriends summed it up best, “This is like eating liquid pumpkin pie!” I was a little leary of the rum cream, but like I said, the man knows what he’s doing. Trust, and ye shall be rewarded. 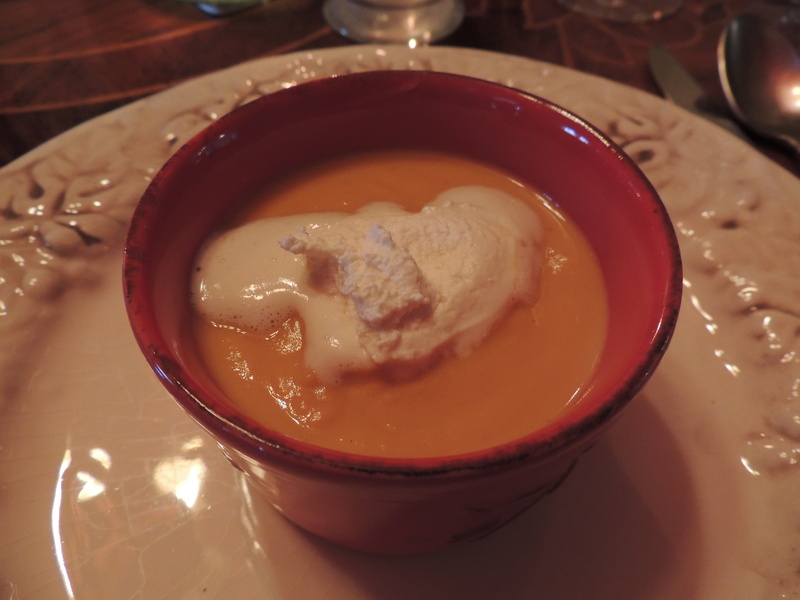 The rum cream was a perfect complement to the silky sweet potato soup. This would be a great starter for your Thanksgiving dinner! Paired with Domaine Barmes Boucher Herrenweg Gewurztraminer Alsace 2011. Tasting Notes: This is a biodynamic wine out of Alsace, France. Biodynamics has nothing to do with this, but WOW is this wine sweet! Dessert wine sweet. It’s not what I was expecting at all. Lots of apricots, trademark lychee, and honey. Fortunately, there’s enough acidity to balance out that sweetness, or this would be cloying. $24. Pairing Notes: Not bad with the soup, but it would have been a far better match with spicy Asian food. 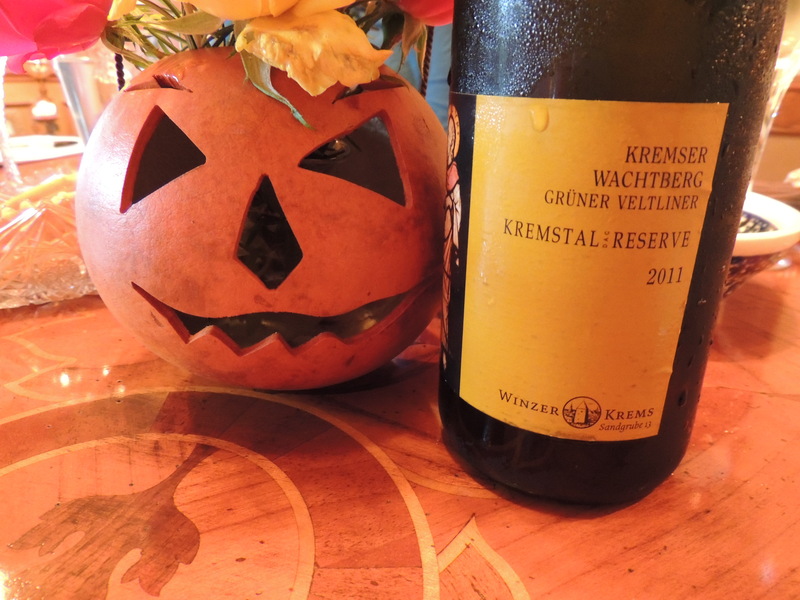 I had my hand on a Riesling to bring for the soup, and I went with the Gewürztraminer instead. And now I’m kicking myself. When will I learn? When in doubt, reach for the Riesling. I had never tried Borscht before today. And you know what? It’s downright delicious. It’s a Yin & Yang soup — unexpectedly sweet, yet savory. Hearty, yet light. This Borscht isn’t just beets — it’s made with beef short ribs, carrots, cabbage, and potatoes, too. When they’re not trying to steal super secret rocket fuel formulas, I’m pretty sure this is what Boris & Natasha eat for dinner. 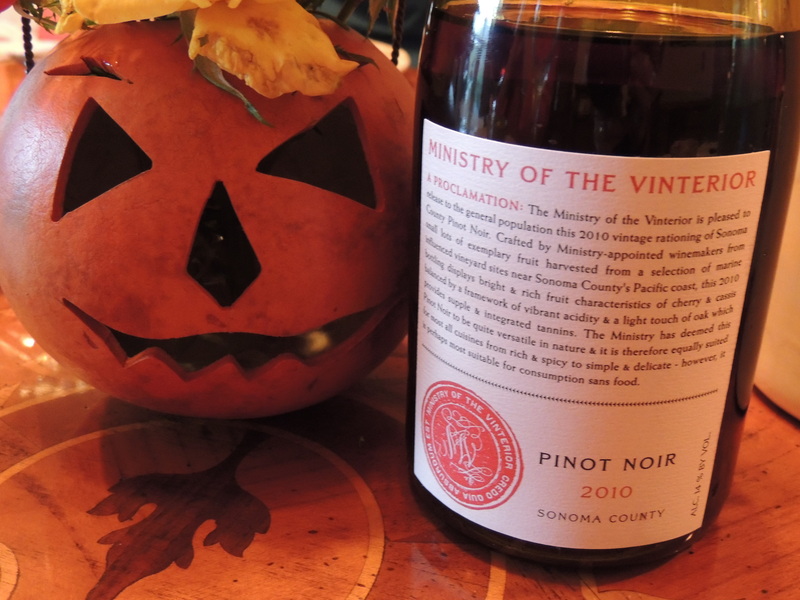 Paired with Ministry of the Vinterior Sonoma Pinot Noir 2010. Tasting Notes: This wine makes me think about Harry Potter and the Ministry of Magic. I keep expecting Madam Undersecretary Professor Dolores Jane Umbridge to apparate into the corner. A bit of a sour nose, but a really lovely funk on this wine. Flavors of sour cherry and charcoal (I like charcoal). Can’t beat it for $17. Pairing Notes: This is a classic example of a wine that’s great and a food that’s great but together, they’re an abomination. World War 3 in my mouth!! 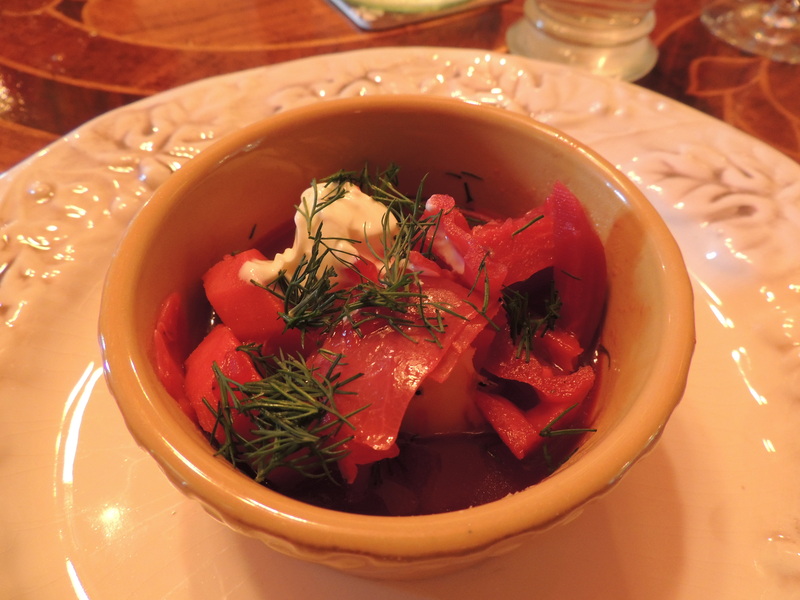 I tried the Borscht with the Grüner and my taste buds were much happier. 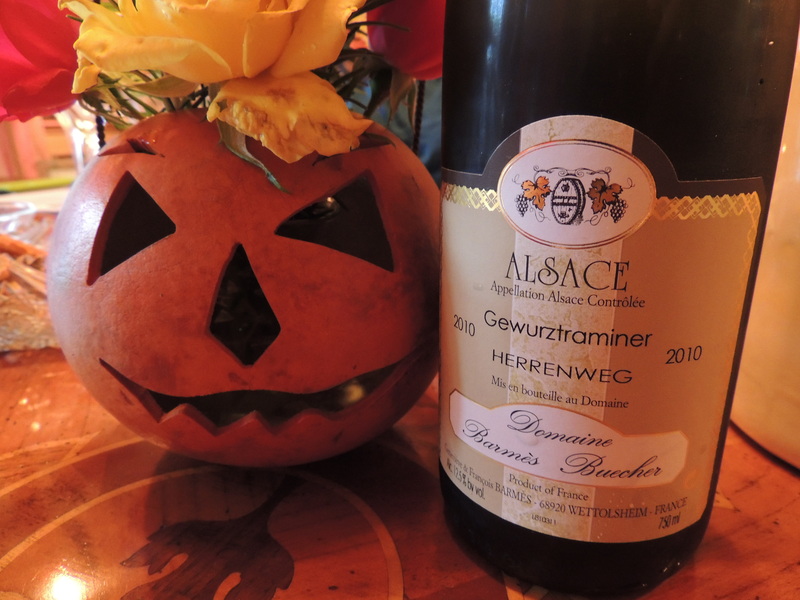 The Gewürztraminer was too sweet for the Borscht — I’d love to try it with a Riesling. Once again, Riesling to the Rescue! And for dessert, we had Apple Dumplings! This picture makes the dumplings look like Thanksgiving turkey and mashed potatoes — April Fool’s in November! This is a great way to use up that giant bag of apples you bought at the orchard. Happy Ending: I tried the Apple Dumplings with the Gewürztraminer and finally found a good match! Thanks for stopping by . . . next month on Carpe Vinum: Cru Beaujolais! Previous Post: Doomsday Prepping: I’ll show you mine if you show me yours . 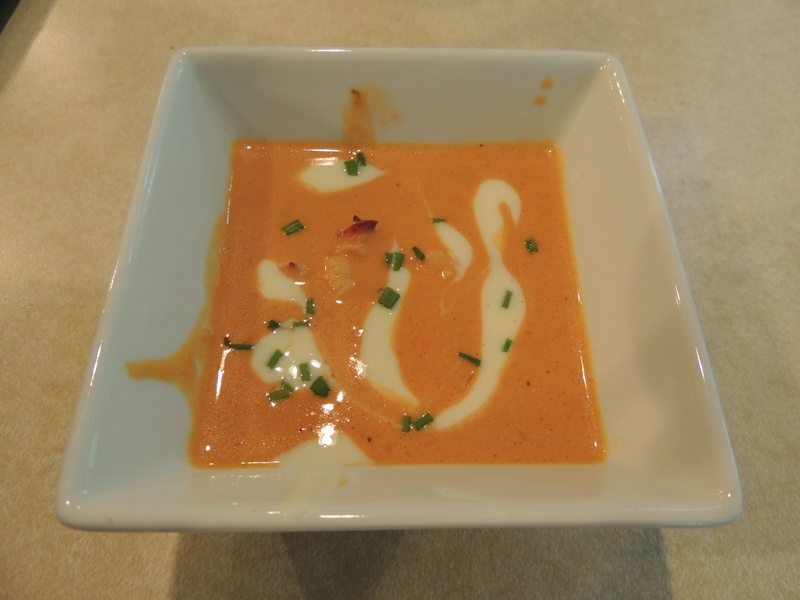 . .
I’m with you on the lobster bisque, I think I would be licking the bowl. Love the pairings, learned a lot. My pairings are hit and miss seems like more miss than hit sometimes. I thought it was chicken and mashed potatoes until I read that it was apple dumplings. LOL! If I had TRIED to make an apple dumpling look like chicken and mashed potatoes, I couldn’t have pulled it off . . . 😉 Salud!